OK, this is a trick question because it’s a bit like asking the length of a piece of string. The time it takes to plan a wedding depends completely on the wedding itself. 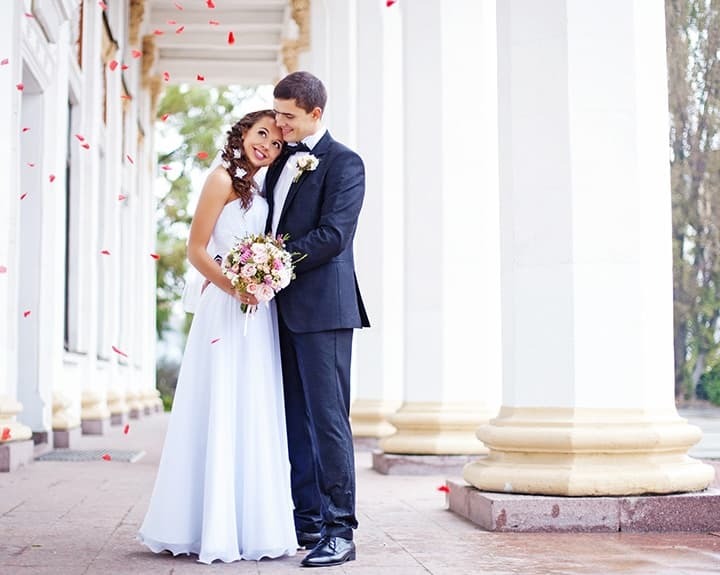 Fancy eloping and getting hitched before the end of the month you can have a license in your hand within 15 days and if you don’t mind what time or day you get married, your local registry office will hopefully be able to squeeze you in. You can pick an off the shelf high street dress and book a meal after for your close friends and family. Job done. Maybe your dream wedding is a little more complex than this, the venue you want is fully booked and the dress shop has a 9 month waiting list for fittings. So if you do want a wedding with all the trimmings of a big event, how much time do you REALLY need? 14 Months – Or that is the average time it takes couples anyway which means that many couples take a lot longer. So Why Does It Take So Long, What Is The Biggest Hold Up? The most important aspect that determines time scale is usually the venue. Decide where you want to get married first. You can make all the plans you like but if the venue of choice is booked up 18 months in advance you either need to rethink the venue or the time scale. When you visit the venues consider how it would look through the different seasons and take into account the time of year you would like to tie the knot. Be sure to ask about any additional provisions for the different seasons too, for example if the venue has a lot of outside space and grass, what space is available after long periods of heavy rain. The season you want to get married will impact the time from considerably, if you really want a spring wedding but you got engaged at New Year then you will be hard pushed to pull out all the stops in 4 months, in this situation you may choose to wait till Spring the following year. A wedding planner is qualified to do so much more than book vendors. They coordinate the day so that you can completely relax and know that your day is being professionally run allowing you to simply enjoy the moment. Experienced planners are booked in advance, so if you want one make this a top priority. If you have a wedding dress in mind that is very specific and you don’t want to go for off the shelf then make sure you book in a day with the girl friends to find the perfect dress early on. Not only is it a time consuming decision that you don’t want to feel rushed into but the shops themselves take time to order. Depending on where you get it from and if you get it made or fitted will determine the time frame but it is recommended to decide 9-12 months prior to your big day to be sure. This might be part of the venue plan but if not you need to take active steps well in advance to organise it. People will always remember the food and you want them to enjoy the experience of being a guest on your big day. The standard advice is not to get them booked at least 6 months in advance. Good photographers and videographers are booked up in advance, most weddings take place on the weekend so it doesn’t take many bookings to book them out months in advance, even a year in some cases. Photographers who are the higher end of the price scale will also want to meet you in advance of the big day, go with you to the venue to discuss your favourite spots and even attend the wedding rehearsal so that they can be fully prepared and meet all the right people, enabling them to capture the perfect moments. Like the photographers, quality wedding DJs are booked in advance. Your choice of entertainment really does matter because they set the tone for the evening. You want to make sure that you have someone who is professional, experienced, insured, has the right music and is using equipment that meets safety regulations. For a DJ that meets all these requirements contact us here at UK Mobile Discos where we have a team of DJ’s available for booking. Don’t leave it too late though, we are waiting for you.